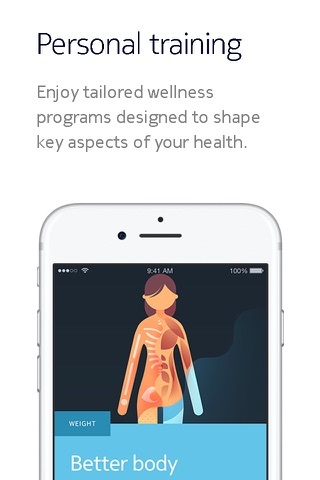 Withings' Body Cardio Wi-Fi Smart Scale empowers you to improve your health by tracking weight, body composition (body fat, water percentage, muscle and bone mass), BMI, and standing heart rate. 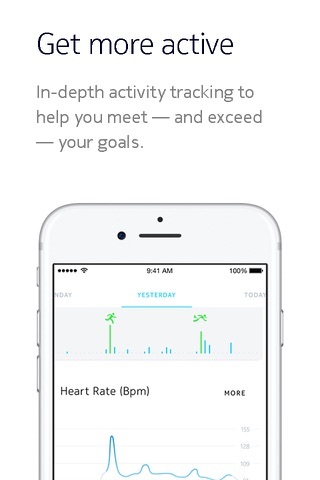 All data syncs to the Withings Health Mate app on your iPhone or iPad where you can view trends, set goals, and find extra motivation. Track BMI and body composition: total body fat and water percentage, plus muscle and bone mass. 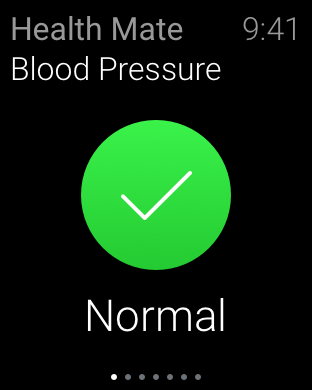 Easily track your standing heart rate, a general indicator of your overall fitness. Increase activity to lower your standing heart rate over time. 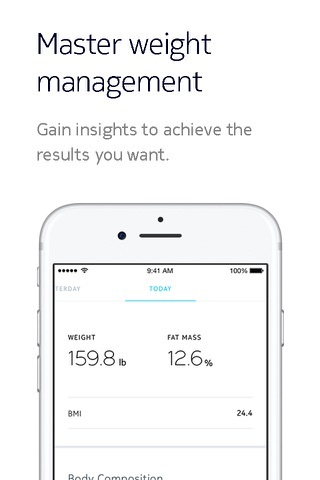 Every weigh-in automatically appears in the Withings Health Mate app via Wi-Fi or Bluetooth sync. With weight, body composition, and standing heart rate history available 24/7, you can see what works and stay focused on the big picture. Get support during pregnancy with obstetrician-reviewed wellness advice and personalized weight tracking. 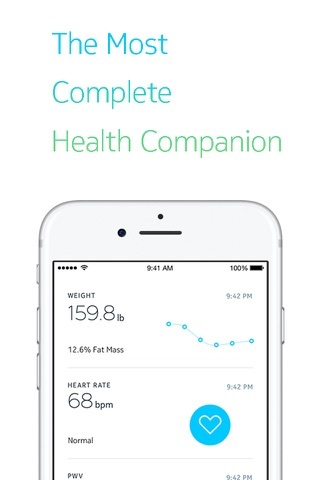 Accurately weigh even the smallest member of your family using Baby Mode. At only 0.7 inches thick with a solid aluminum base, Body Cardio has no feet to adjust, making it remarkably thin and stable. Thanks to its design, Body Cardio works on almost any surface, from a hard floor to a thick carpet. 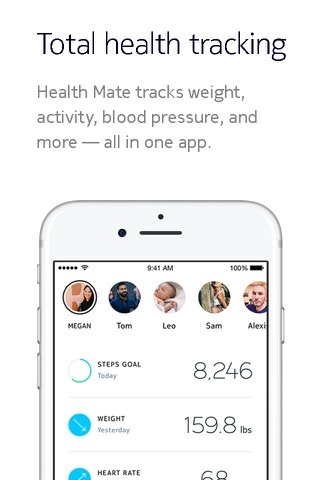 Withings Health Mate easily syncs with the Apple Health app and is available in a version for Apple Watch. 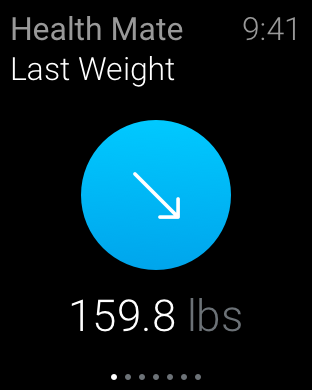 I love that this scale can sync right to my phone and my Lose It app. It gives % body fat which I compared to my trainers skin fold caliper assessment of my bo I love that this scale can sync right to my phone and my Lose It app. It gives % body fat which I compared to my trainers skin fold caliper assessment of my body fat and the scale measurement was very close to her hands on assessment. So far so good!